Breen’s win means he is the latest addition to the GC Playoffs, with a ticket to the elite line-up in the Longines Global Champions Tour Super Grand Prix which will take place in Prague this December. The next clear came from Harrie Smolders (NED) on his bay gelding Cas, and the World No 1 delivered a masterclass of a round much to the delight of the spectators and VIPs. The Dutch star was quickly followed by on-form Pius Schwizer (SUI) on Chidame Z with an apparently effortless clear – the Swiss rider already notching up two wins this weekend. Knowing a clear would win him a place on the podium Denis Lynch (IRL) took 9 strides to the Palace fence, coming home clear in 40.43s – the new leader in this high drama show down. 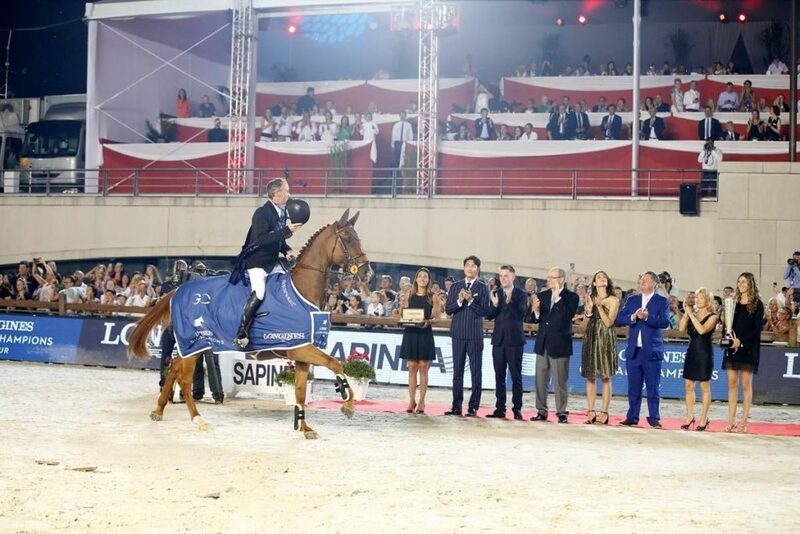 Shane Breen, 1st place: “This is my biggest career win and my first time winning at the LGCT Grand Prix. Its a great honour to be here and to be part of the GCL – it’s a great atmosphere. Ipswich is quite a green horse at this level and has had a few fences down this season. We’ve been knocking on the door but today he jumped fantastically. He was surprisingly relaxed as he can be quite sharp and has a lot of nervous energy but that was in our favour this evening in Monaco.